My name is Patty Maher and I am a photographer from Ontario Canada. 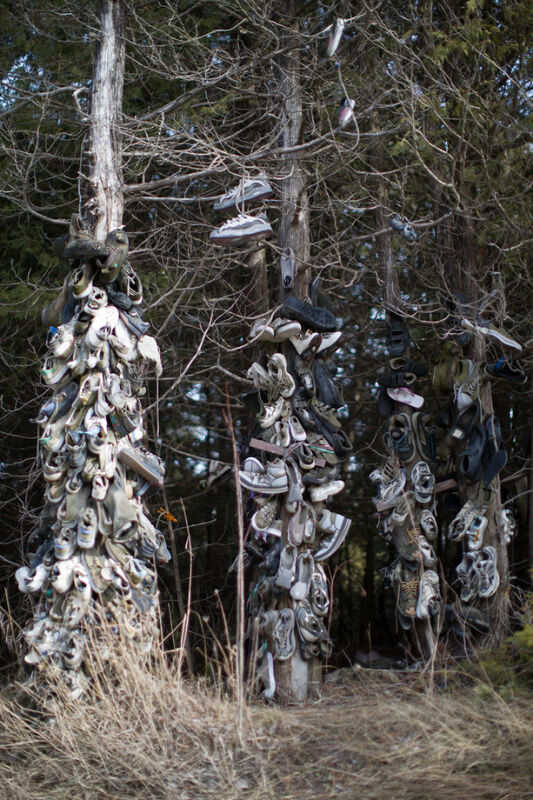 Recently, I was driving on some back roads near Orangeville Ontario when I noticed a spot by the side of the road where a bunch of shoes were tied to the trees. I pulled over to inspect it and took these photos. 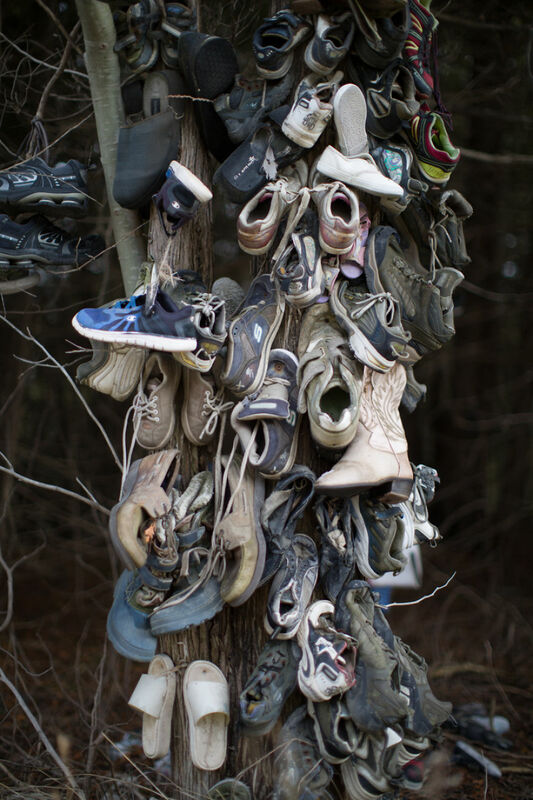 There are literally hundreds of shoes there – nailed to trees, hung on branches or just placed on the ground at the foot of the trees. 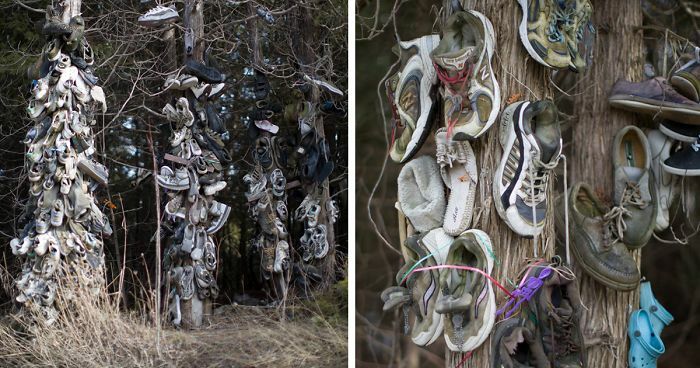 I thought maybe this was a memorial to someone who had died in a car accident – but it turns out that this shoe forest is a complete mystery. No one knows who put these shoes there or why. The earliest sighting of these shoes was in the spring of 1972. According to the police there is no record of any accidents having occurred at that location so it didn’t start off as a memorial – although it appears that at some point someone created a memorial on one of the trees. There are also a few plastic skeletons that have been inserted into shoes, or hung alongside – but it is impossible to know if this was just a random occurrence or if it had some significance. There are numerous theories about what this tree forest is. Some think it is an art installation while others think it was part of a movement for ‘walking free’ that happened in the 70’s. It could have started as a memorial or perhaps it began as a prank or commemoration by local teenagers. For me, walking around taking photos of these shoes inspired a strange feeling of reverence. 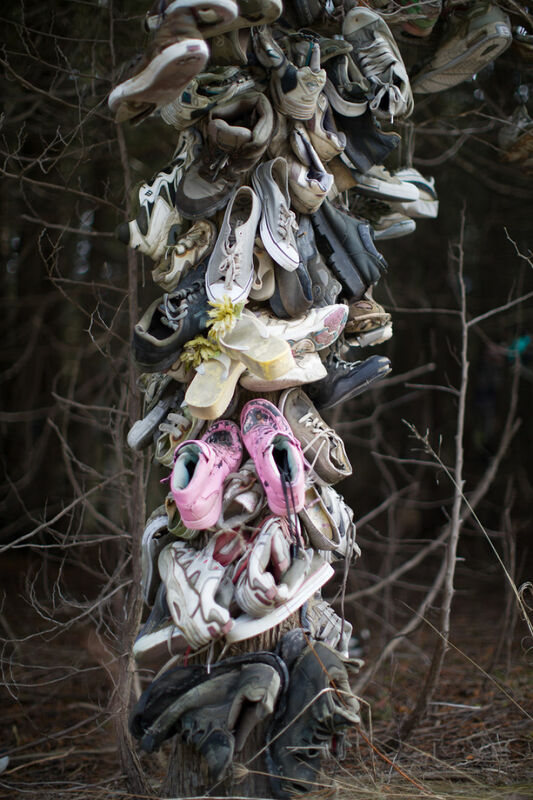 I found myself considering the original owners of these shoes: what their lives were like, whether they were still living, what reasons each person had for abandoning them there and why some were nailed, others hung and some just gently place on the ground. I thought I’d post this in case someone who sees this knows the story behind this, or has another theory about why this is there. Have you ever come across something like this? 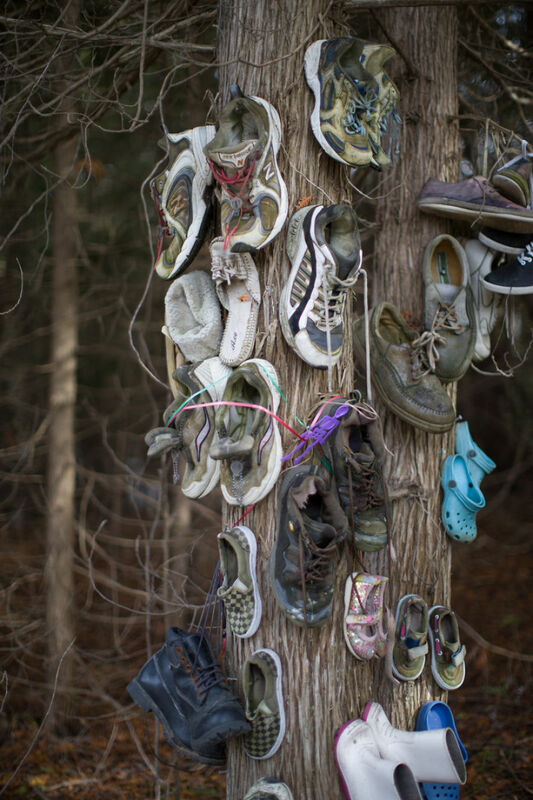 Update: someone from facebook told me that there had been a similar tree in another town in Ontario… but apparently so many people put shoes on the tree that the weight of the shoes actually killed the tree. You can see the ‘memorial tree’ on the right-hand side. Me neither. But now we know and that's all that matters. We have another interesting shoe tradition in some of the neighbourhoods in Sofia, Bulgaria: sneakers are hung onto street wires by their laces. No, don't ask me how they managed to put them that high and no, I don't have any idea why are they doing it. We often make up stories about it, though. Our favourite, created by mum is about a bunch of kids, whose parents were colour blind and bought them the wrong colour of shoes. The kids abandoned the dreaded shoes. But later, seeing how sad their parents were, they forgave them. They couldn't get their shoes back, though. Wow, Nikas is absolutely right! 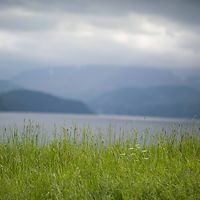 your instagram feed is amazing! We have lots of shoe trees in my country, but the shoes are normally picked early summer while they are still fresh. The shoes in the photo have been left for too long and are going rotten. That's officially the weirdest thing I've seen all week. I'd love to know the story behind it.